I love Haute Couture week in Paris, because unlike RTW shows, the designers are really able to push the limits and take their creativity to a new level. Giambattista Valli did just that as he showed a collection full of intricate detailing, voluminous skirts, and an incredible finale of floral printed gowns. Giambattista Valli's collection was overall my favorite from this week, because I LOVE all of the COLOR! My jaw truly dropped when I saw these designs. I love the vibrant energy each of them possess. 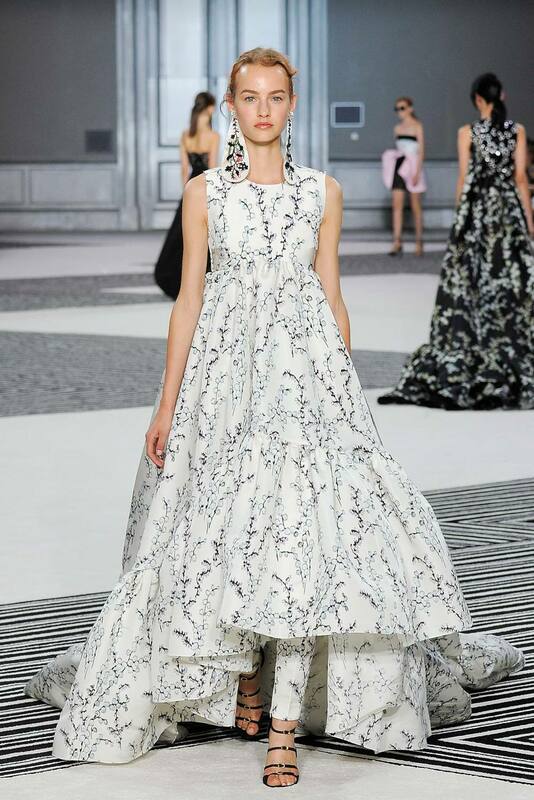 Some of the collections, like Valentino and Elie Saab, seemed a little somber for my personal taste, but I love how Giambattista Valli balanced out the black and white looks with pops of pink, lavender, and orange. Also, I am dying over the tiny orange bow across the top of the pink, purple, and black mini dress (look 5 in the slideshow above). The strappy heels and round black sunnies were the perfect accessories to each of the looks. Moving on to Chanel. I always enjoy seeing the Chanel Runway Shows, because of the creativity and character Karl Lagerfeld adds through the theme and setting. 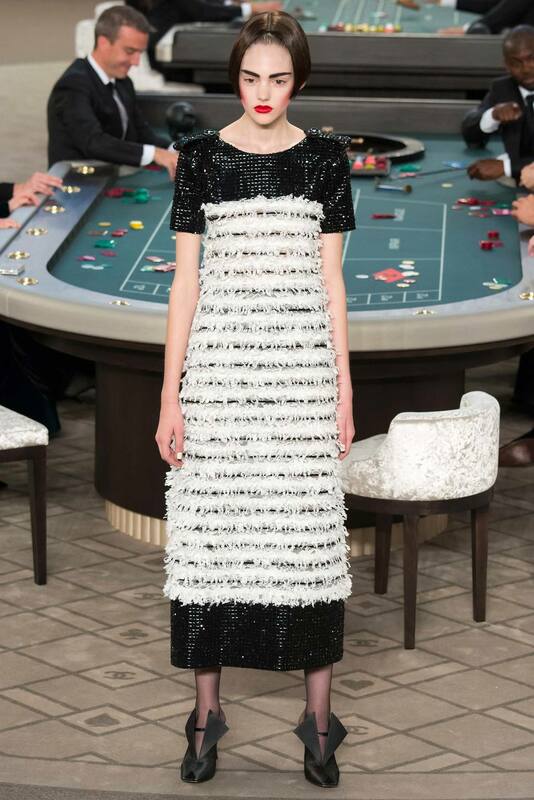 From the Chanel Grocery Store to the casino seen this past week, all of his shows prove to definitely be more than just a runway. As a true 21st Century fashion show, Chanel even used 3D printing to construct the jackets seen on the runway... fascinating! I cannot wait to see how more designers begin to use new technologies like this in the fashion industry. Bouchra Jarrar was another one of my favorite shows this week. The soft shades of pink mixed with geometric shapes and stripes really caught my eye. Of course I love the sheer pink pleated skirt, but I also really admire all of the beading and detail in the tops and long vests. To me, this collection seemed to be the most "street ready."